Of all of the companies you could have install insulation in your home in the Indianapolis area of Indiana, the best choice is 31-W Insulation. We have been installing and replacing insulation in the southeastern U.S. since 1972, and we are committed to using our experience and expertise to provide total customer satisfaction, which is why we’ve consistently maintained an A+ rating with the Better Business Bureau throughout the years. And, because we never hire subcontractors like some insulation companies, you can trust that our team will uphold our high standards of workmanship and customer service. 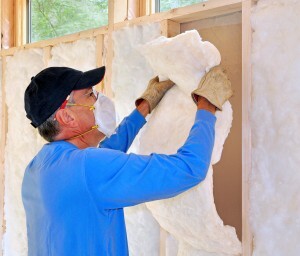 Of course, top-quality workmanship needs top-quality materials to ensure a truly masterful insulation job for your home in Indianapolis, Indiana. That’s why we only use top-of-the-line insulation from companies that are trusted throughout the country for durability and performance, such as CertainTeed and Owens Corning®. That way, with our products and services, you can enjoy a more consistently comfortable temperature in your home and possibly even lower energy bills for many years to come. For more information on why we’re the best choice among insulation companies in Indianapolis, IN, contact 31-W Insulation today.